Israel: A Resource Guide, is geared towards providing diverse readers with information about Israel, the conflict and peace process. 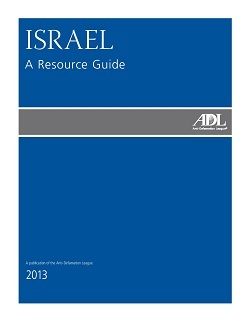 It includes key facts about Israel, a glossary of terms (ie: Zionism; Gaza; U.N. Resolutions), and provides the information and tools on responding to challenging questions about Israel. The Guide also contains a chronology of key dates in Israel’s history and a list of online resources for further information.